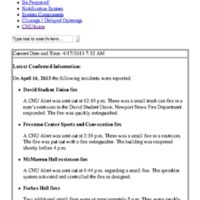 2.7 C CNUAlert Be prepared ... be safe. 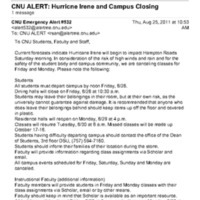 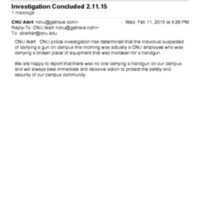 Information provided for the CNU Community regarding Hurricane Irene. 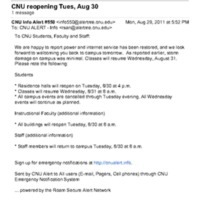 Email providing updated information regarding Hurricane Irene.